The FA Cup hosts yet another tasty encounter, as Manchester United take on Arsenal on Friday. 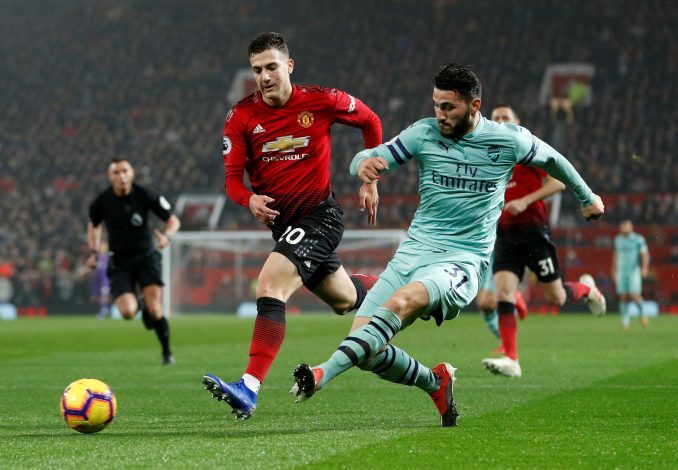 The Red Devils are in fiery form under Ole Gunnar Solskjaer, and their unbeaten streak will come under challenge at the Emirates. Arsenal, fresh from their thrashing of Chelsea, will also be eager to put down their old rivals and excel in the competition in which they’ve enjoyed much success in the recent era. The Norwegian will have to be smart about his team selection, given that the FA Cup is his most realistic chance of silverware this season and could be of great consequence to his hopes of landing the full-time gig. Marouane Fellaini continues to be a long-term absentee along with the recovering Marcos Rojo, while Luke Shaw may be fit for this game. Marcus Rashford’s slight knock during their Premier League outing may ensure that Romelu Lukaku is given a rare start, while Alexis Sanchez could start against his former club. Lastly, Sergio Romero is likely to start ahead of De Gea, as he usually does in cup games. The Gunners will be eager to grab the victory, and will be without Hector Bellerin, who has been ruled out for the rest of the season. Similarly, Danny Welbeck and Ron Holding won’t make an appearance any time soon either. Henrikh Mkhitaryan, back in training, could make a cameo appearance for the home fixture. Ozil could get a call back into the first team, and Aubameyang will be eager to net his first goal of 2019. Lastly, Petr Cech could be all set to make his final appearance against Manchester United.